Disillusionment within the taxi industry in tandem with Smartphone convenience has helped the ridesharing industry boom within the last few years. With Uber, Lyft, Sidecar, Gett and other companies expanding into new cities and gaining new users every week, being a driver for one of these groups is becoming a pretty common job. But, all of that constant driving can take its toll on your vehicle, and passing theannual ridesharing inspection that most of these companies require can be a challenge after so much use. So how can you give your car the best chance of passing the inspection? As simple as it sounds, being vigilant with routine maintenance is the best way to keep your vehicle healthy. Getting regular check-ups and making sure that your brakes, tires, oil and air filters are replaced routinely can keep your car running smoothly and keep you Ubering, Lyfting and ridesharing longer. But more miles means more maintenance. It can be difficult to keep track of when certain parts of your vehicle need to be replaced or inspected. Luckily, there’s a solution. 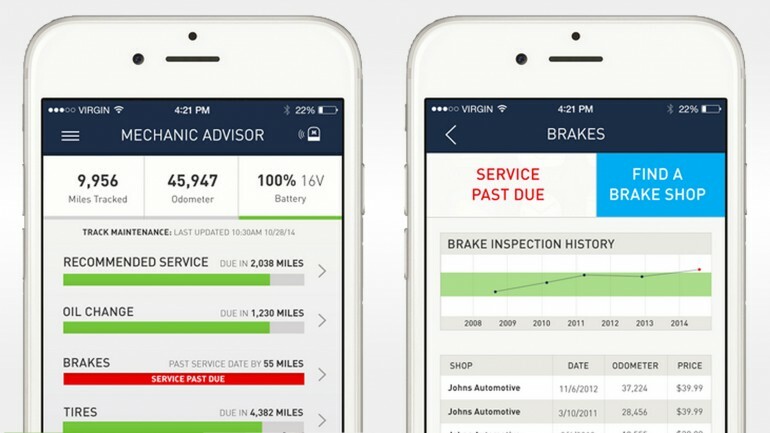 Mechanic Advisor has created a product that helps you keep track of when you’re due for routine maintenance on your vehicle, as well as whether there is anything specifically wrong with your car. For example, if your check engine light comes on, Mechanic Advisor will be able to tell you what the exact issue is, and just how serious it might be. With this product, rideshare drivers will have full knowledge of their car’s health, as well as when they need to get it inspected.